Speaking at Le Web ’12 in London, Google’s Vice President of Product Management Bradley Horowitz announced that it has partnered with Flipboard, adding Google+ streams in the app. The streams will launch soon. Google+ integration comes as part of Google’s new Google+ APIs, which have been extended to provide additional content from Google’s social network in Flipboard users’ streams, allowing them to access posts, photos, video and other data without visiting the social network directly. 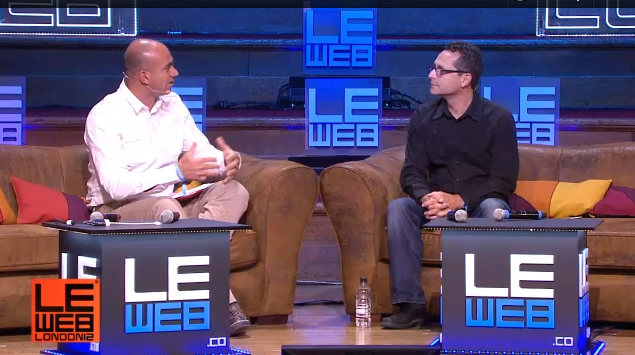 LeWeb founder Loic Le Meur also asked how Google’s new apps for Google+ had been received. Horowitz again wouldn’t be drawn on numbers but did mention that the revamped iOS and Android applications had boosted interaction on the service and were generally well received by its users. This is the beginning of a real API. One that can write and read. Why isn’t this API open to all developers? Because Google doesn’t yet have good noise controls and is wanting to make sure they build their social garden stage-by-stage and not be forced later to piss off developers because they need to change their API to protect the user experience here. Google+ joins Facebook, Twitter, Tumblr, Instagram and a whole host of social services on Flipboard — Yahoo has closed LiveStand and Google’s own Currents app hasn’t really got off the ground, suggesting Flipboard is the king of social news readers. 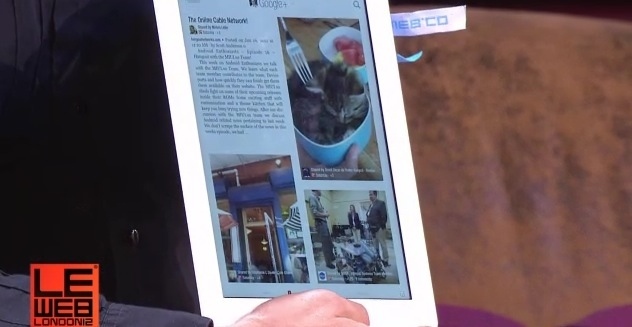 What does this mean for Currents, Google’s own social news magazine/reader? Given that Google has partnered with a rival, it would be safe to assume that the company is doing all it can to expand the reach of Google+ content by partnering with the most well-known and popular reader apps available.